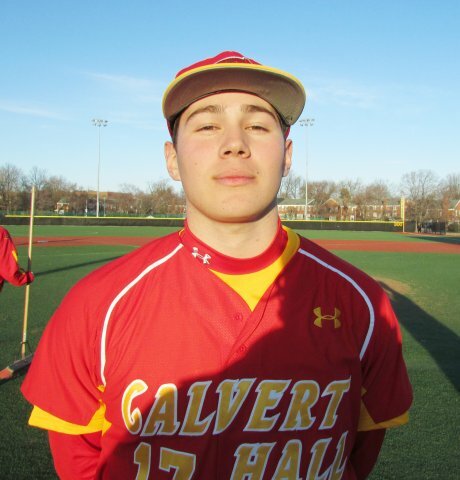 Two-time defending MIAA A Conference baseball champion and top-ranked Calvert Hall College topped St. Paul’s School, 9-1, in Towson on Monday afternoon behind junior right-hander Nick Delp, who threw a complete game 5-hitter, handing the Crusaders their first loss of the young season. The win allowed the Hall to improve to 6-1 on the year, and 2-1 in the A Conference, after a season-opening loss to Archbishop Spalding in extra innings. 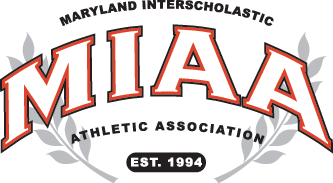 The game was originally scheduled to be played in Brooklandville, but was switched to the turf field at Carl Crispino Stadium Conference when the Crusaders’ field was deemed unplayable due to the weekend rain. Delp gave up a solo home run to Jamal Wade in the top of the first, but he kept the Crusaders (7-1) off the board the rest of the way. Wade started on the mound for St. Paul’s, and he retired the first eight hitters he faced before Tyler Webster singled in the bottom of the third. Wade got the first two Hall hitters to start the bottom of the fourth before giving up a double to Brandon Dorsey, and a RBI single to Manny Rodriguez. Rodriguez would then score on a Crusader miscue to give the Cards a 2-1 lead. Calvert Hall got two more in the fifth frame on a two-run single from Dorsey, and they added five more runs in the sixth when they batted around. Rodriguez keyed the 5-run sixth with a two-run single.The Hall shortstop had two hits and 3 RBI on the day, Dorsey had a double and a single and 2 RBI, and Tyler Webster had two hits and an RBI. The Hall will travel to No. 12 Archbishop Curley on Wednesday, and St. Paul’s will host second-ranked Gilman, a 10-0 winner over Mount St. Joe on Monday.